We are recruiting differently in our Pathology Department and holding a One-Stop Shop Recruitment Event on Saturday 9th March 2019 at The Princess Royal Hospital, Telford, Education Centre. We are looking for enthusiastic, existing and aspiring Band 6 candidates to join our friendly team of Biomedical Scientist working at The Princess Royal Hospital, Telford. Come along for a relaxed and friendly day at our Hospital where you can meet our experienced team, ask any questions you have, have an interview, complete all of your recruitment paperwork and leave with a provisional job offer and the excitement of joining our Pathology Team. Don't worry if you can't make this date, we can arrange for you to be interviewed on an alternative date. Interested in attending? Contact: Hannah Yates / hannah.yates6@nhs.net / 01743 492402. Our Blood Sciences Department (comprising of Clinical Biochemistry and Haematology/Blood Transfusion) are looking to appoint a suitably qualified, experienced and HCPC registered Biomedical Scientists, to assist with the provision of the hospital diagnostic service. Successful candidates will be based at The Princess Royal Hospital, Telford. Candidates will be trained in Biochemistry, Haematology and Blood Transfusion and rotate through all sections of the department. The successful candidate(s) will be required to commit to cross-disciplinary training. Candidates working towards HCPC registration will also be considered. SaTH Pathology Services have accredited UKAS standards and in October 2017 the Blood Sciences department had a complete equipment refresh. The Biochemistry section is equipped with Roche Cobas 6000 analysers and Roche pre-analytics and middleware. The Haematology section is equipped with a Sysmex XN and CS2500 analysers. IH1000 and Biorad Gelstations are in use on our Blood Transfusion Department. The department has full accreditation and is an approved IBMS/HCPC training laboratory. Continuous professional development is actively encouraged. 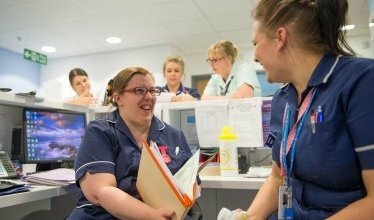 This is a special time to join the Trust as we have successfully secured more than £312m of investment from the Government for the reconfiguration of our two hospitals with a decision due imminently. NHS Future Fit proposes that The Royal Shrewsbury Hospital provides emergency care services (including women and children’s inpatient services) and The Princess Royal Hospital provides planned care services. Both hospitals would have an Urgent Care Centre that is open 24-hours a day, seven days a week. The proposed model of hospital care has been designed by members of the public and over 300 clinicians, GPs and social care professionals. Whichever option is approved, NHS Future Fit’s proposed model will ensure a wide range of hospital services will still be available at both hospital sites and, importantly, stay within the county. Please read more about this role by downloading our job description, which explains more about the department, the role, and living and working in stunning Shropshire. And we encourage you to apply for this position, in return, we will offer you the support and experience to develop your expertise and enrich your career in a thriving organisation.